A refreshing change from those Pizza Chains. 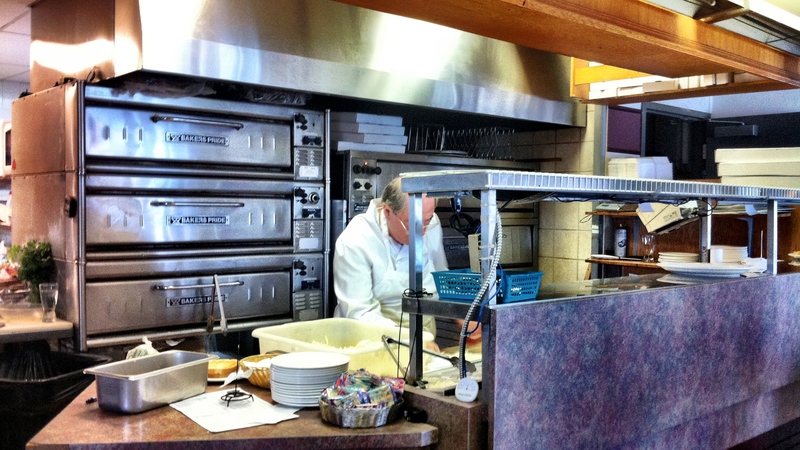 From the family oriented service to the neighborhood restaurant interior, it feel very homey. Although we got take-out, the people at the restaurant were so friendly and keep telling us to come back to visit them:). 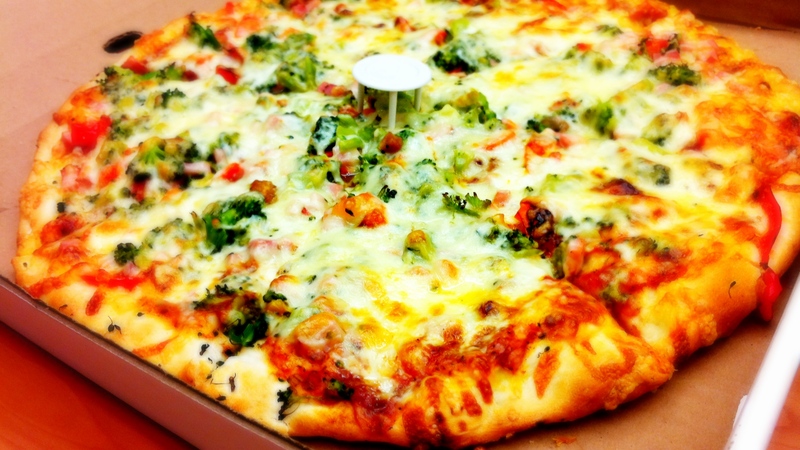 On the car ride back to the office my hunger was intensified by the rich aroma of the pizzas. Among the 3 pizzas we ordered the Meat Lovers was definitely my favorite! A compilation of bacon, sausage, and pepperoni. Just packed with toppings and gooey cheese. 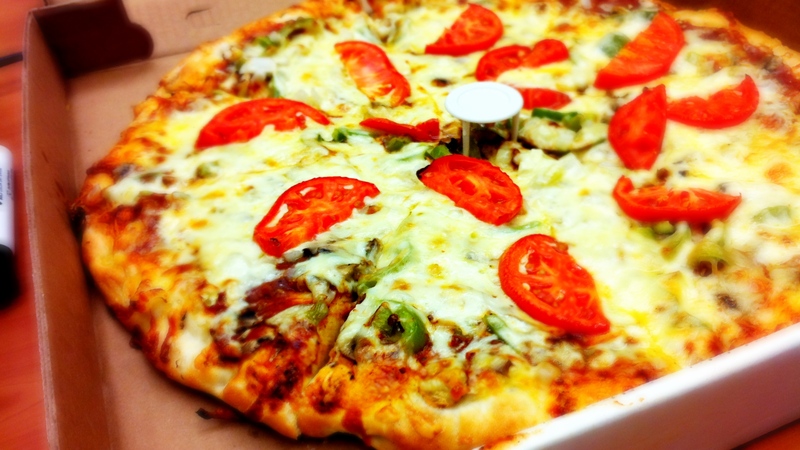 The crust was quite thin underneath the layers of toppings but remained crisp and firm. However, the crust on the edge was a bit dry, though I didn’t mind it with the generous topping of cheese;). 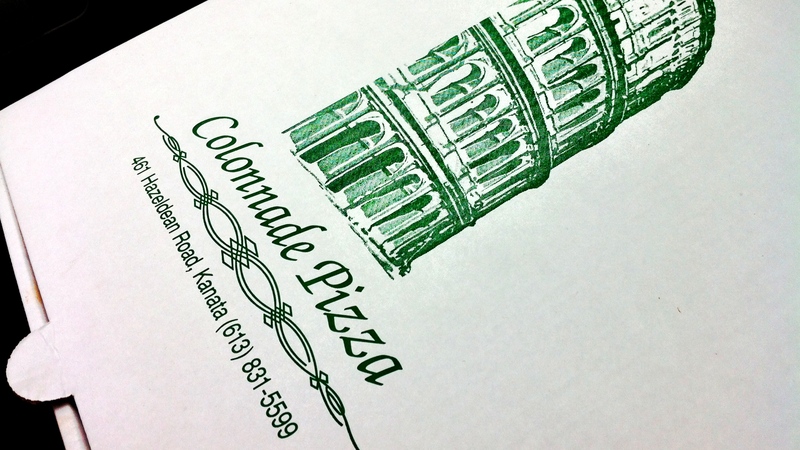 Well I guess if I’m going to eat Colonnade Pizza I should order the Colonnade Special. Lots of fresh vegetables like sweet red peppers, sauteed onions, and broccoli. I’ve actually never had broccoli in my pizza before, but it works! Mixed in with the cheese it was like a cream of broccoli soup, but better. The Virginia Ham was the highlight of the pizza though, tender and juicy meat hidden among the garden of veggies. Although I loved the Meat Lovers the Colonnade Special was an pleasurable balance. I think we should always get our dose of vegetables, but when you’re indulging in pizza there doesn’t seem to be a need to be healthy. Although the cheese provided a creamy savory texture, the overly healthy flavors of the vegetables bored me. It just seems to me that when I’m going to eat pizza, I just want a burst of flavor! The Vegetarian was not too attractive for a meat lover like myself; just too bland. 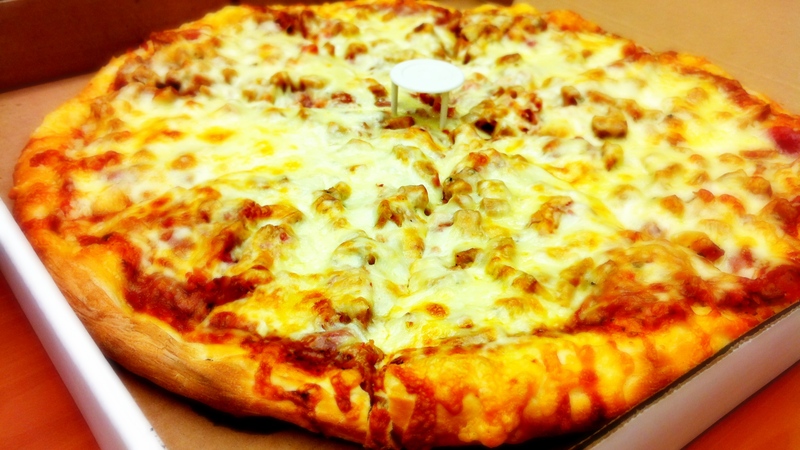 If you’re looking for a quality piece of pizza with fresh ingredients, Colonnade is the place to go. It’s not the best pizza I’ve tasted (Lombardi’s Pizza in New York is still my best experience), but it’s definitely a prime choice in Kanata. I feel like pizza is a hit or miss, sometimes you get a dry crust and sometimes you get a crisp surprise. After eating 5 huge slices of Colonnade Pizza, I’m definitely going to return;)(Plus they were SO friendly! ).